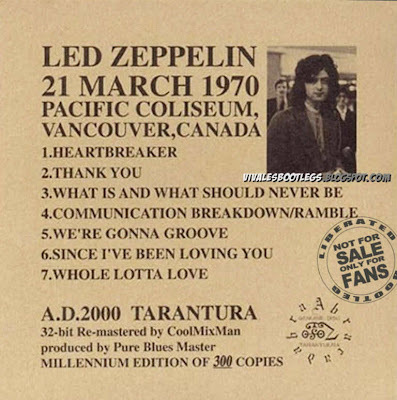 Recorded Live at Pacific Coliseum, Vancouver, Canada - March 21, 1970. Files: 7. :: Size: 83.90 MB (mp3) / 199 MB (flac). Notes: This CD came out in 2000 on the Tarantura 2000 label out of Tokyo. 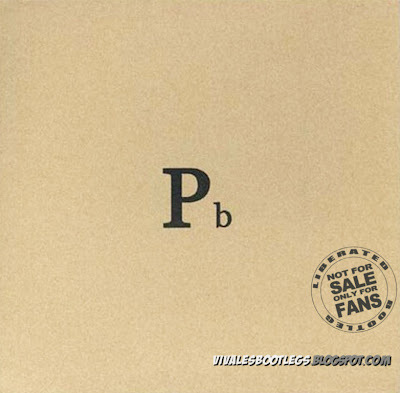 It's a version the famous Zeppelin release 'Pb' or 'Pure Blues' which has been released many many times on vinyl and CD. There have been many debated regarding where the original source came from, one theory is that it was a radio broadcast, the other is that it is a raw soundboard tape. The big difference with this release is that it's the first time a TAPE source has been located and used. All previous releases have come from vinyl sources. The producers of this release aquired a 2nd gen tape from an American collector who had the tape stored away since 1983.<- file="" from="" info="" nfo="" original="" span="" taken="">.